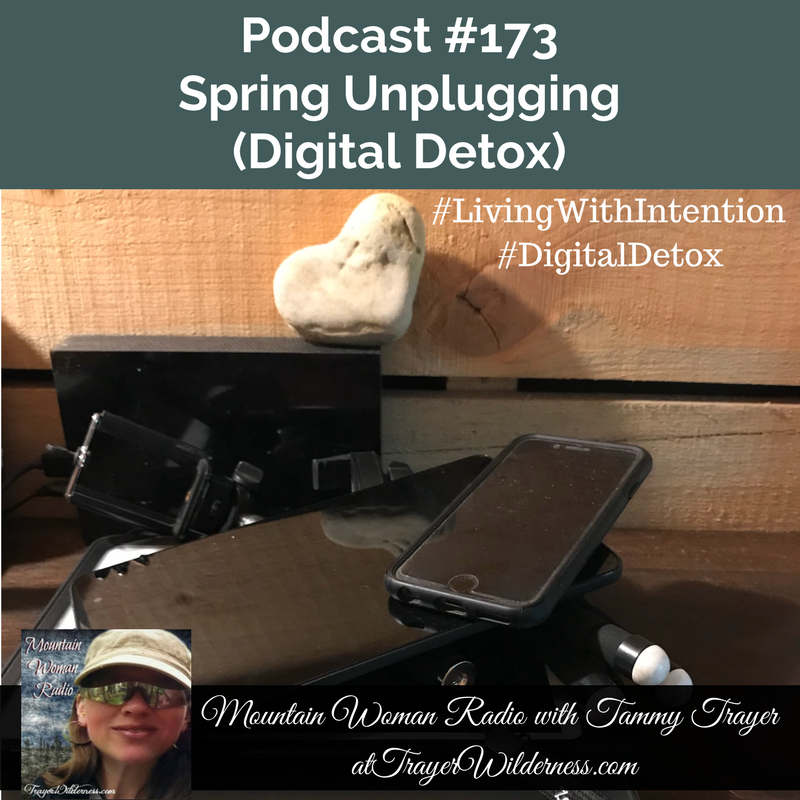 March 23rd, 2018: In today’s show I talk about the importance of unplugging from time to time and the best time is a spring unplugging after a long winter attached to every possible piece of electronics. Schedule a #DigitalDetox today! Thank you Tammy for reminding us and bringing us back where we should be. I live on the eastern side of Idaho, and the sun hasn’t shined very much lately. Your thoughts reminded me that when it is out, go outside. If you plan to finish a project and get out later, it’s gone. The sun and outdoors renew us. We need it for our souls. I pray for you you. Sweet friend Debbie, I SO appreciate your comment and it is SO good to hear from you. YES YES when we feel that nudge to get outside we should truly STOP what we are doing and just GO! I see it so much in my own life how the wrong things keep our attention for WAY too long – even if it is work – our bodies and minds need nurturing more than we realize. We were not created to function as we do in society today so I have spent all of 2018 Living With Intention and redirecting myself to an even healthier lifestyle putting myself and my body concerns ahead of other things. THANK YOU so much for your prayers they are greatly appreciated! Prayer is such an amazing gift! Sending prayers your way for your journey! God bless sweet friend! So good to hear from you! PS I took a much needed hiatus, but MWR will be returning soon!